2010 was a crucial year for Stone Premonitions in that David "OHead" Hendry joined the collective, the result being The Stone Premonitions 2010 album The Clowning Achievement and two EPs by The Global Broad Band. Stone Premonitions kicks off 2011 with a new collective project and the self-titled debut CD by Stella Polaris. The band on this outing consists of label co-founder Tim Jones on guitar, David Hendry on keyboards and synths (Dave produced the album too), The Reverend Rabbit on bass, and Kevin Thompson on drums (Stone Premonitions veteran Paddi plays drums on one track). Long time Stone Premonitions fans will immediately notice that Stella Polaris is all about the music, with only one of the ten tracks including vocals. The album opens with Off With Their Heads. After an extended introductory spaced out keyboard and guitar buildup, the band launch into a funky rocking groove. And from there Tim's searing guitar leads the way, bashing out chords and ripping licks, backed by a steady pounding rhythm section and a cool organ sound. This is a guitar lovers album, though Tim is by no means just stealing the spotlight with flash guitar wankery. His leads are expressive and fluid, and their power comes from the sonic whole created by all band members. Tracks like Ephadream and Liberation Squared demonstrate that Tim can crank out stinging aggressive licks, but do so in a purely melodic song-oriented way. Diocin & Widdershins is a cool grooving rocker with a spacey meditative Prog mid-section. So What If They've Got Tee Shirts In Denmark is one of my favorite tracks of the set. It opens with space electronics, ethnic percussion, and the trademark Tim Jones guitar style that Rabbit's Hat and Census of Hallucinations fans will recognize. Dave Hendry really shines on this track, skillfully coloring and embellishing with his magic synths. The guitar eventually goes into deep space and the result is a really beautiful cosmic jam and atmospheric piece. Tim and Dave really come together on this one. Remembrance is a dark and foreboding yet totally spaced out tune that conjured up frightening images in my mind. This would make great soundtrack music. Retroglide is a fun bouncy rocker. The Man Who Never Was is somewhat jazz-like. Givin' It Large is the sole vocal number on the album and has an energetic ethnic jazz groove that ends with a rocking Hendrix flavored guitar solo. The final track, We're All Egyptians Now, is another one of my favorites and another that has a distinct Rabbit's Hat/Census of Hallucinations flavor, though Dave's keyboards and soundscapes give the music its space rocking Stella Polaris flavor. 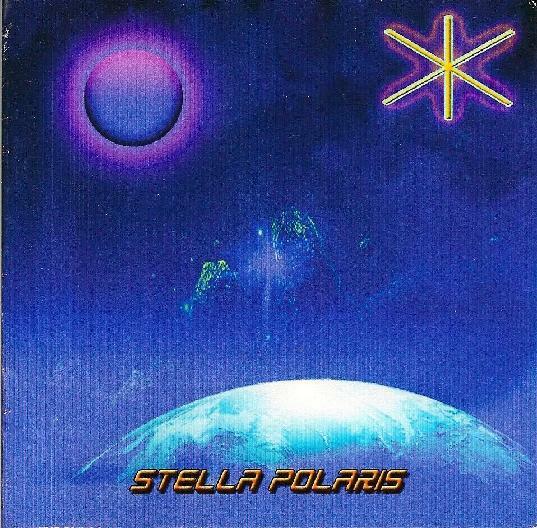 Stone Premonitions projects have always had a distinctive character and Stella Polaris is no exception. Check it out.